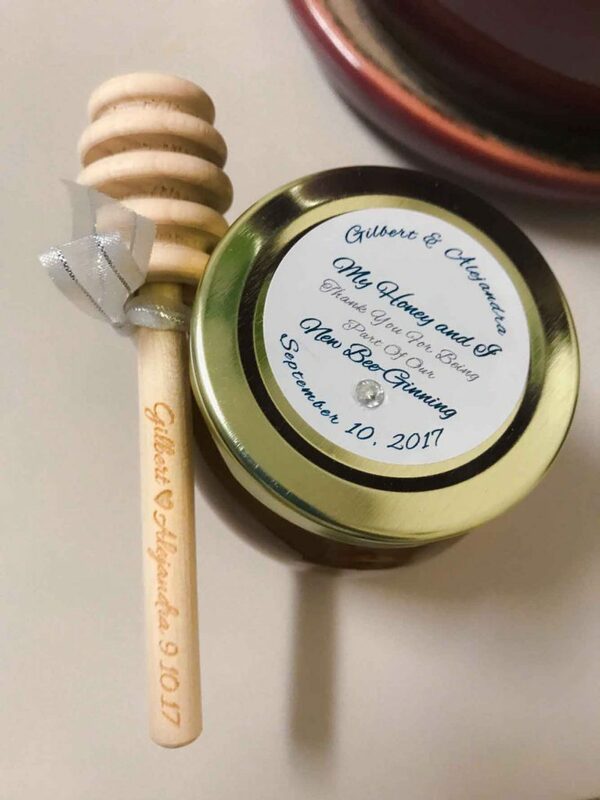 Brides love to share their Honey Wedding Favor photo ideas. 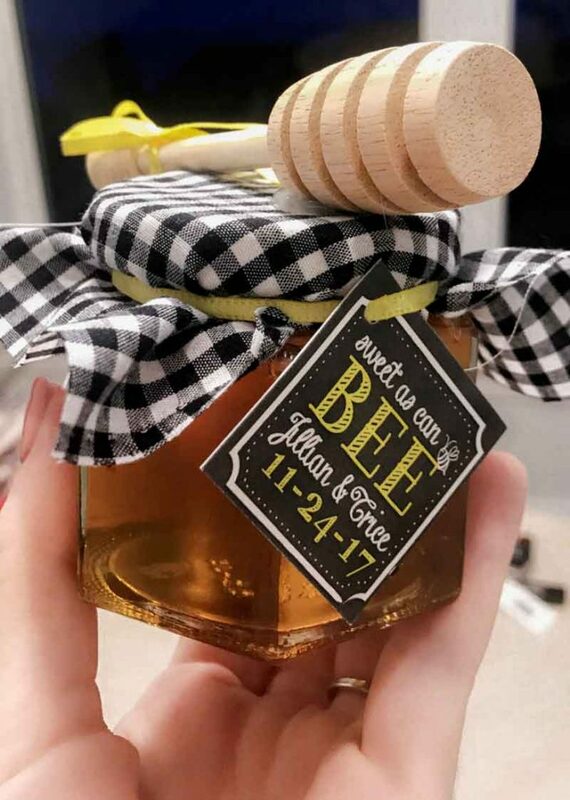 So far we have received eleven sets of photos since January. 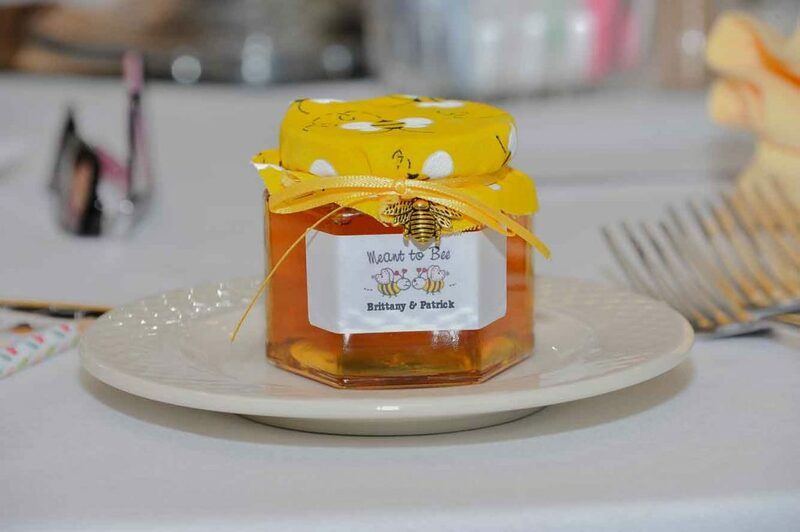 In the last two years our Brides have sent us over 200 photos from their Weddings and Bridal Showers. 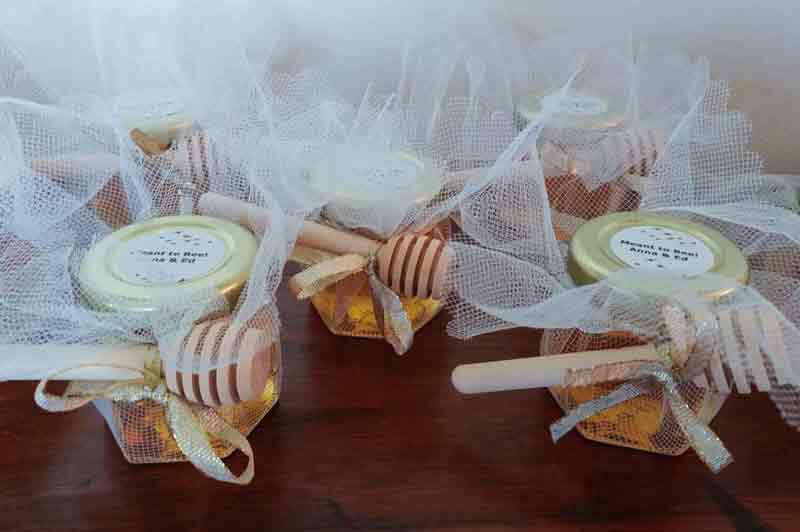 And brides love to explain how they are going to decorate their Honey Favors. 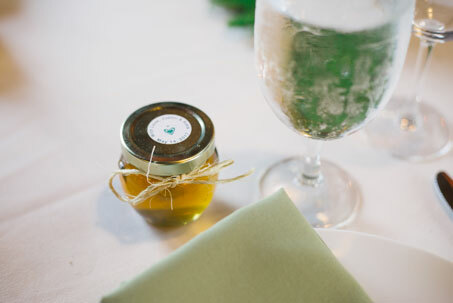 You can not go wrong with Honey as a favor. 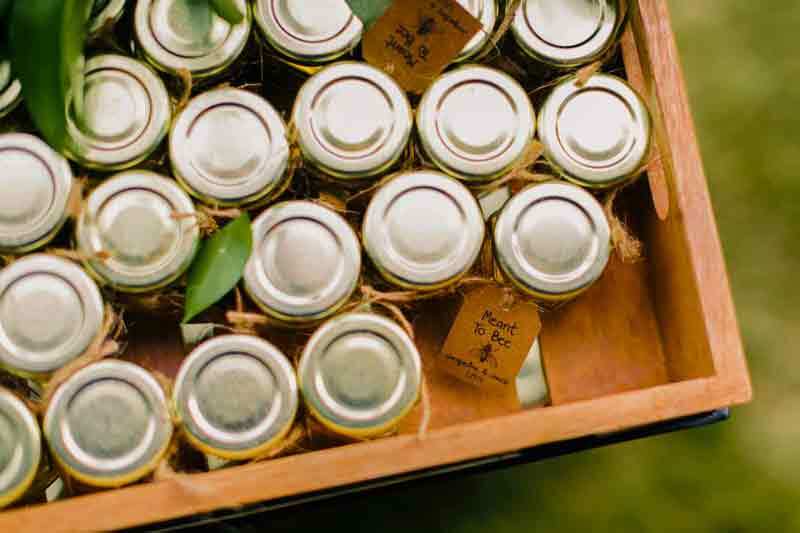 It looks good in glass jars, be they hexagon, round or Honey Pots. 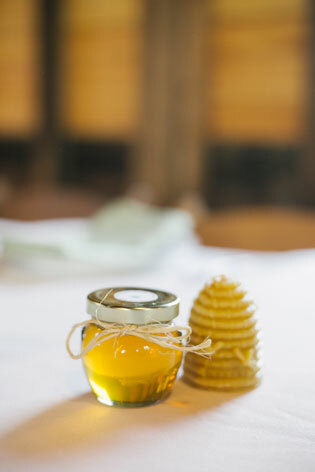 It is natural, healthy and delicious. 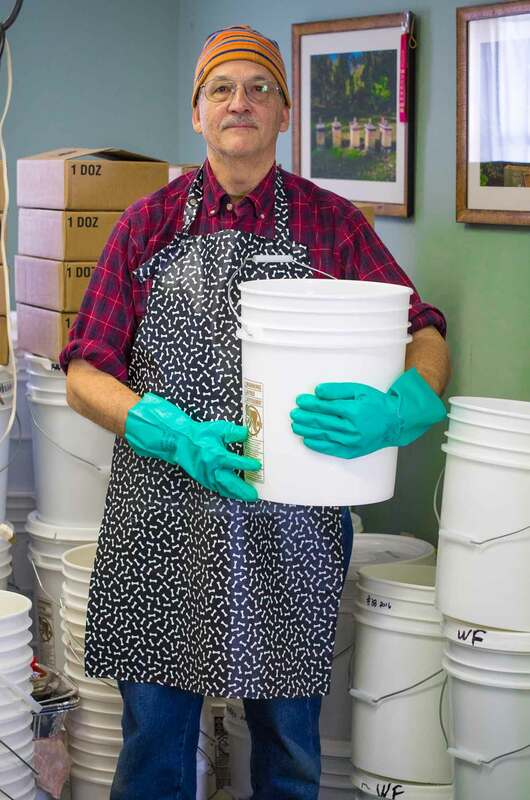 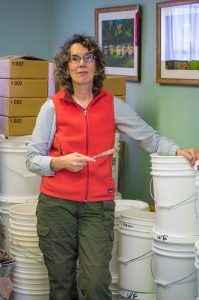 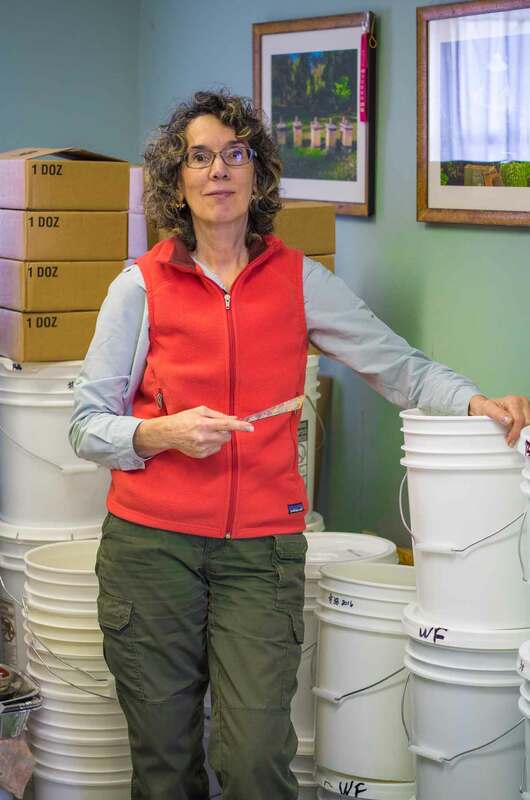 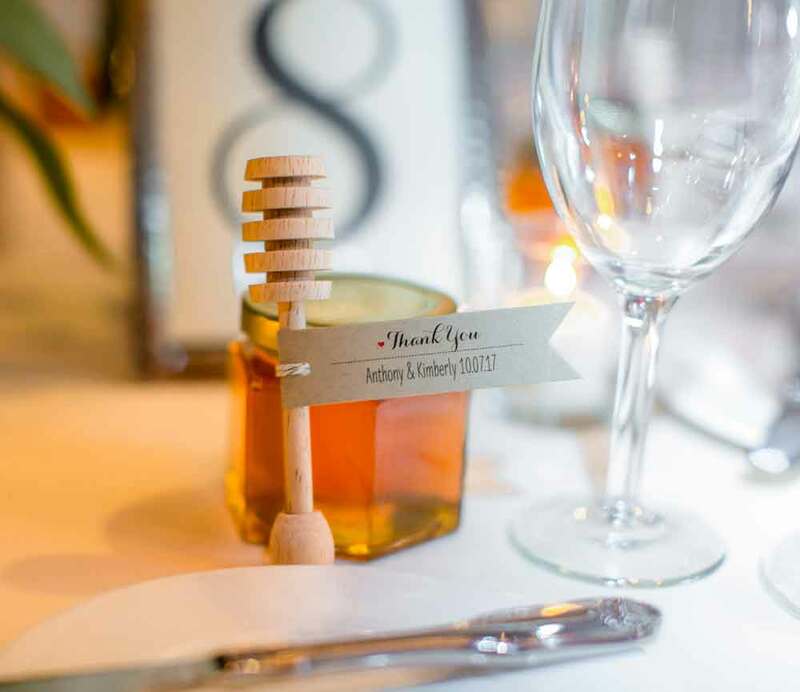 Guests love to bring it home and use it at home; and then tell everyone how wonderful it is! 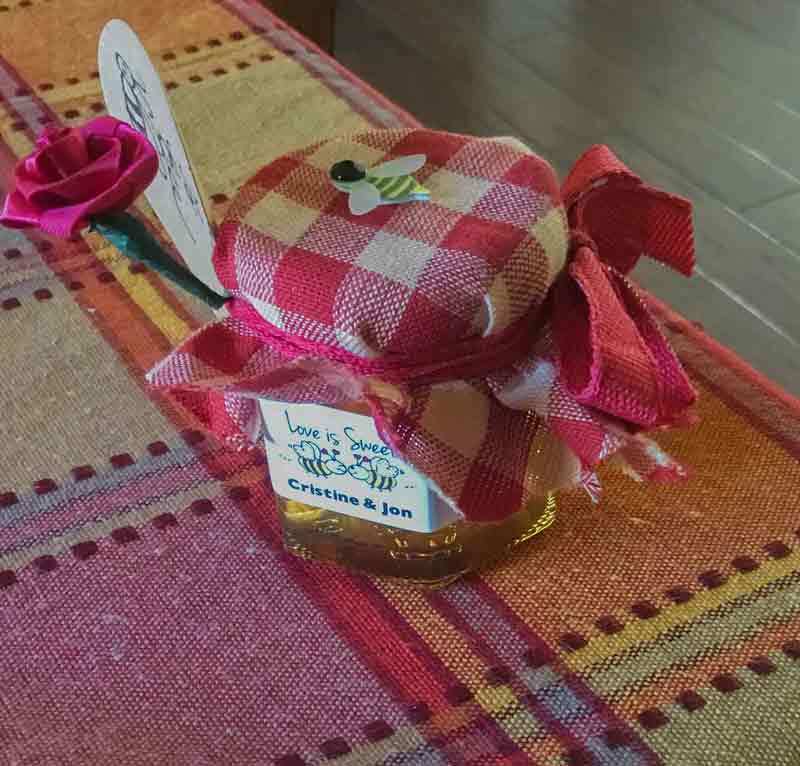 It is great in tea, on oatmeal and added to recipes to make them extra special. 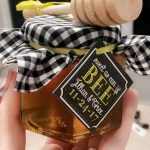 And it has wonderful health benefits. 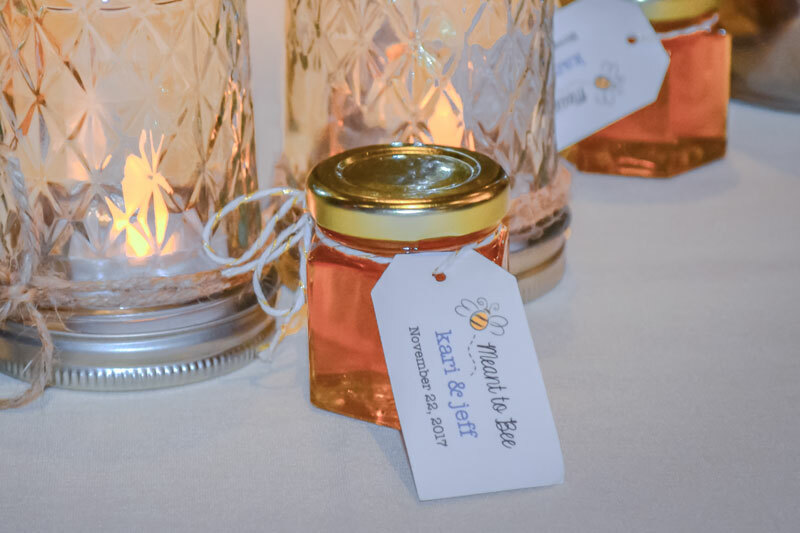 Brides love to add all kinds of custom, DIY, personalized, and personalized Tags to their Honey Favor Jars. 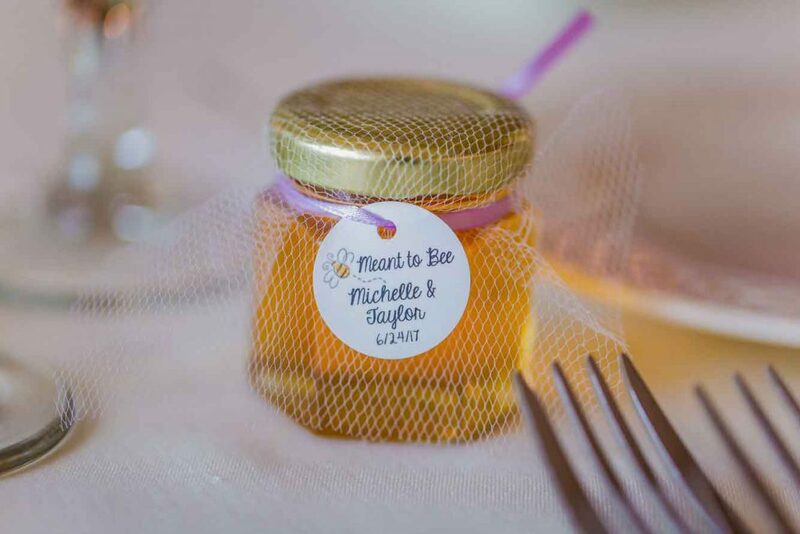 Then they love to tie on small resin, plastic or silver bees to the favors along with tied on Wooden Honey Dippers; and finally add fabric and tulle. 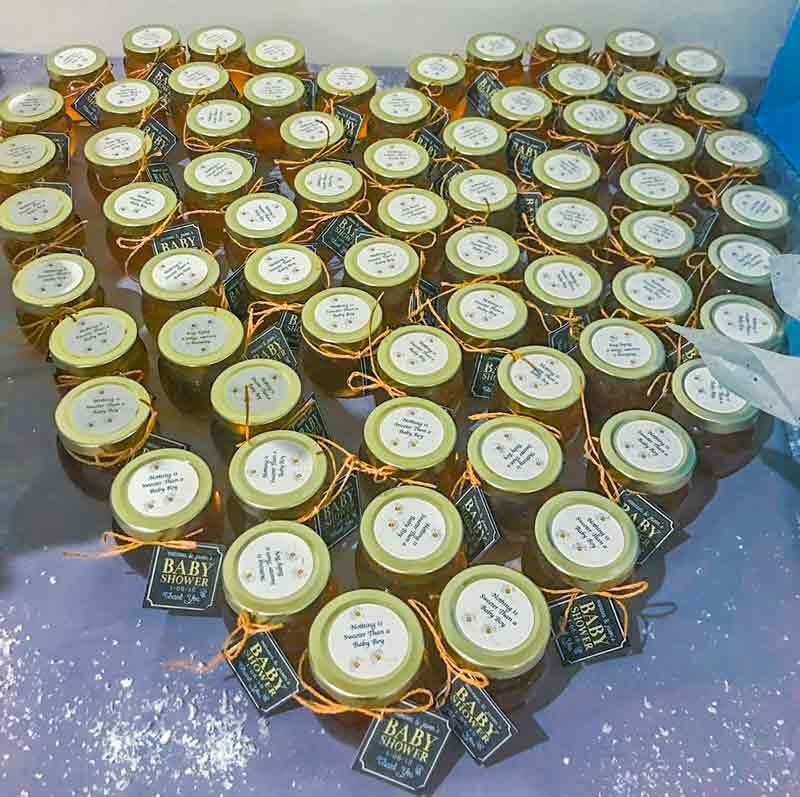 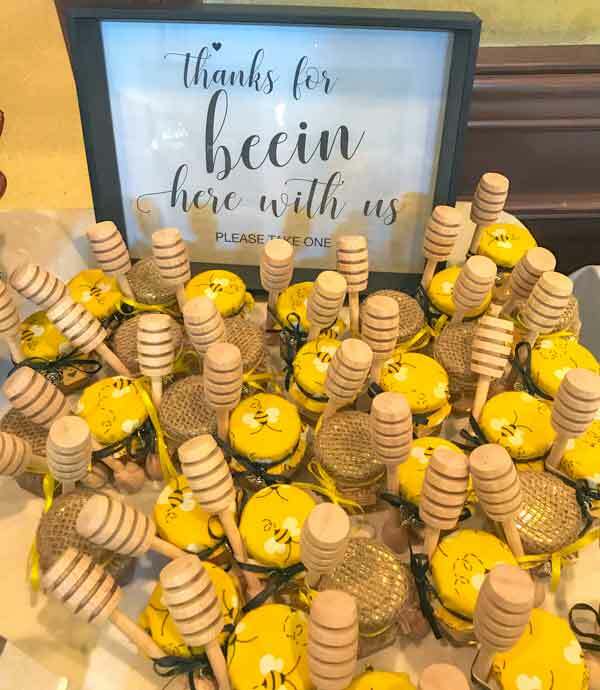 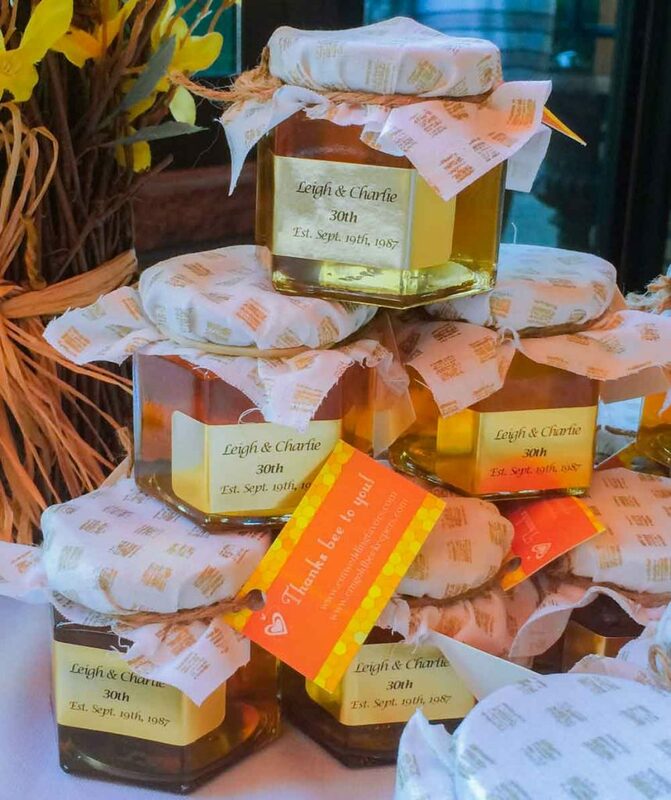 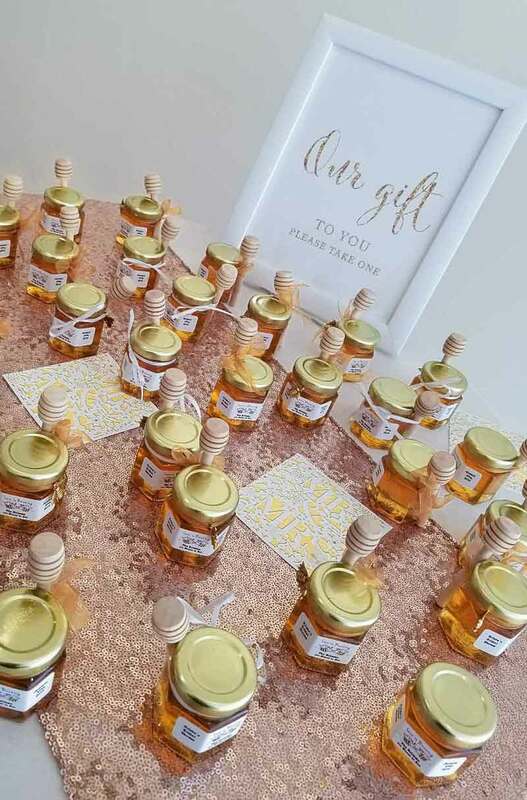 Once their inspiration is achieved the Honey Favors can be displayed at the reception hall entrance or can be used as table seating assignment placeholders. 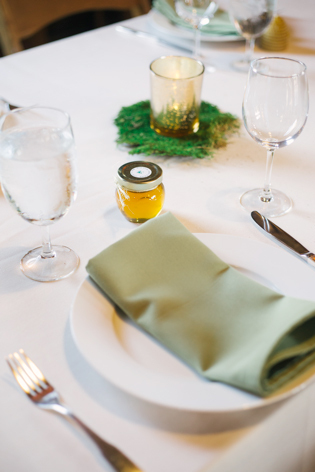 Or they can be displayed at each guest’s table setting. 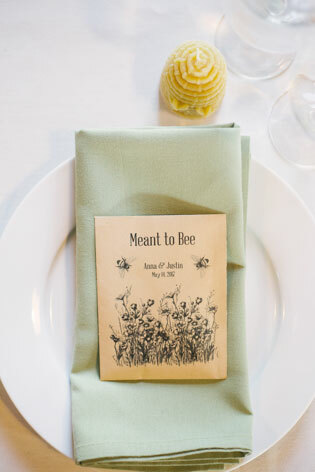 And finally they can be grouped together at a table where guests can pick them up as they are heading home. 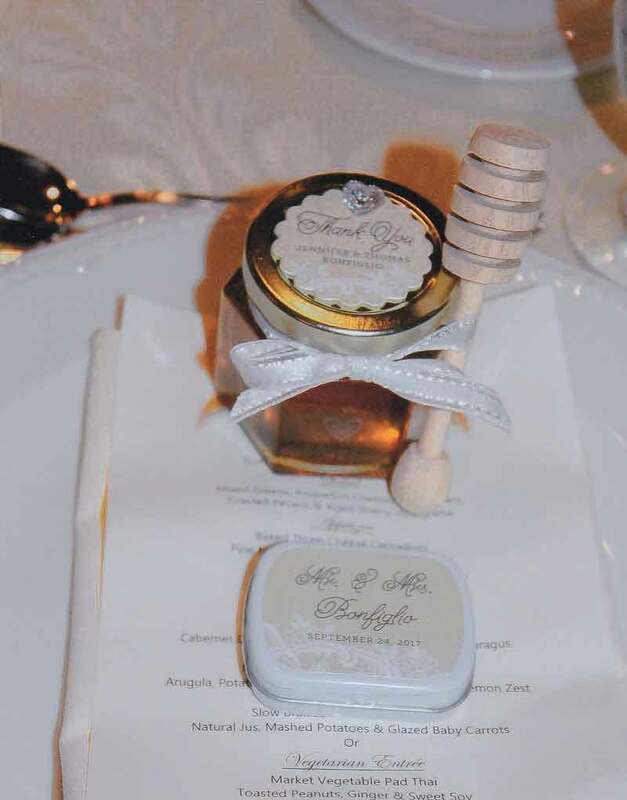 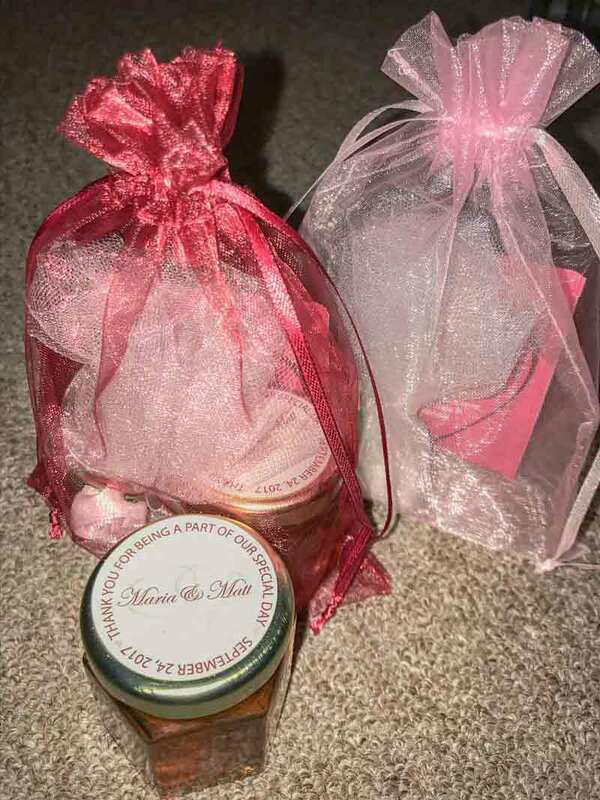 Contact us to discuss your Wedding Honey Favors!